The second Tanner ecological mystery (see the vividly descriptive INNER PASSAGES) is a superb who-done-it starring a delightfully reluctant hero. The story line is straightforward in terms of the modern day shenanigans though the use of flashbacks interspersed throughout the novel brings 1890s Wisconsin to life inside a murder subplot. Carl Brookins does not beat around the bush as he targets a college graduate save the environment audience with this well written, picturesque novel that lucidity uses a murder theme to render a strong ecological message. In A misplaced letter, a brass engine plate and an unplanned murder launch Tanner and Mary Whitney into their third adventure. 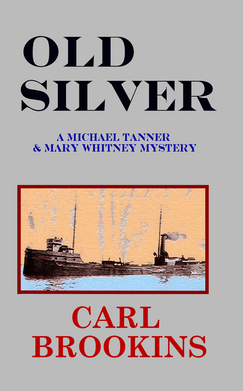 Old Silver takes place on and under the icy waters of Lake Superior, in the corporate halls of Duluth, and in the brawling streets of Chicago, at the dawn of the Twentieth Century. Brookins is a Minnesota native who worked in public television for fifteen years. 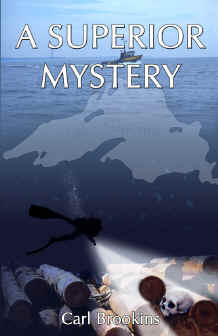 Now retired from a university in St. Paul, he and his wife have sailed in many venues, from Australia to the Caribbean.